Spent a few days up in Door County (Wisconsin) at the end of August. Took the ferry to Washington Island for the day and tried to have fish for lunch. Guess what? None of the restaurants had any fish. Imagine that, I was on an island with no fish! Do you believe it? 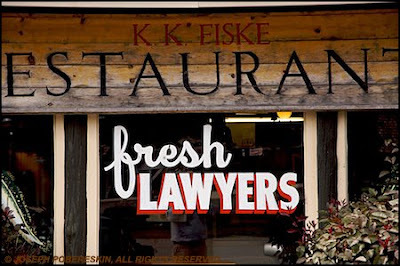 What do you call 1,000 lawyers at the bottom of Lake Michigan? A good start. Holy Cow... A Two-Wheeled Society! !